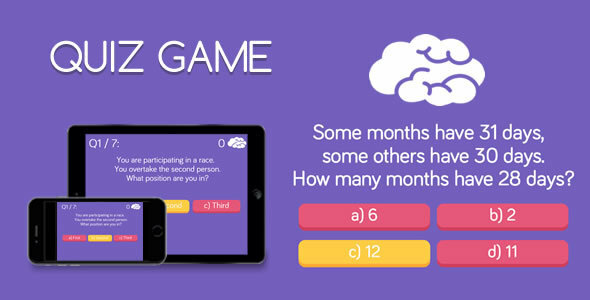 Quiz Game is a HTML5 game with free general knowledge quiz questions and multiple choice answers. The ZIP package contains the game with 1024×768 resolution that scales proportionally to fit current screen device. 0 Response to "CodeCanyon - Quiz Game v1.0 - HTML5 Game"